Can you believe it is 2015 now? Wowzers! This is Latte Lizzie. Isn't she the best? I love that nice warm drink she is carrying....just the perfect way to say thank you to someone special. 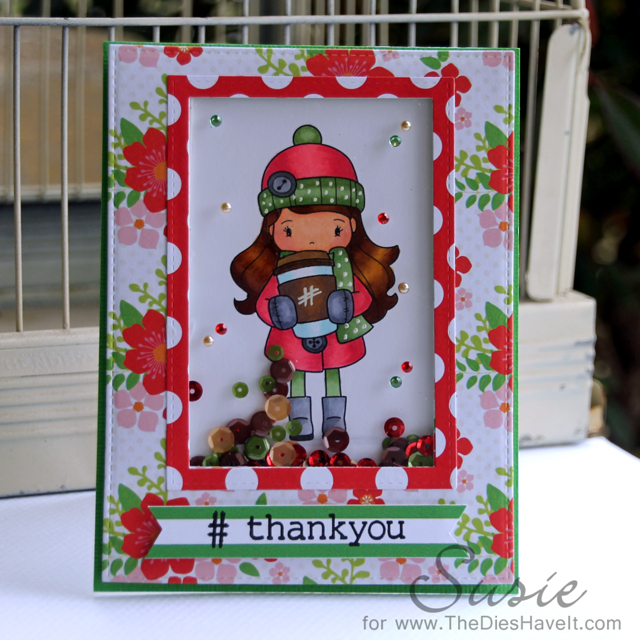 Be sure to head over to the Whimsie Doodles blog and catch my post over there. A gorgeous card, Susie! Love the shaker! So good to have you on the team!